Happy Friday!!! We have made it through another work week and are that much closer to Halloween!!! Temps are finally in the Autumn zone and the leaves are starting to make that exciting change. I look forward to the season so much and to FINALLY have it here just has me super excited! 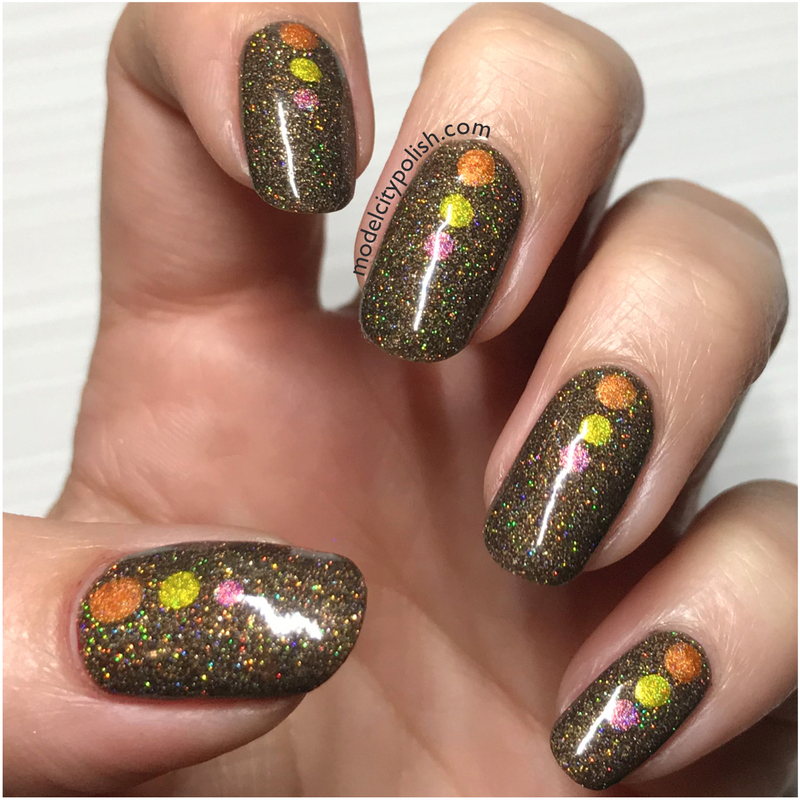 Since Fall is now in full swing, I wanted to change it up a little and share some fun Fall nails that would be great for all the Fall Festivals going on this weekend. 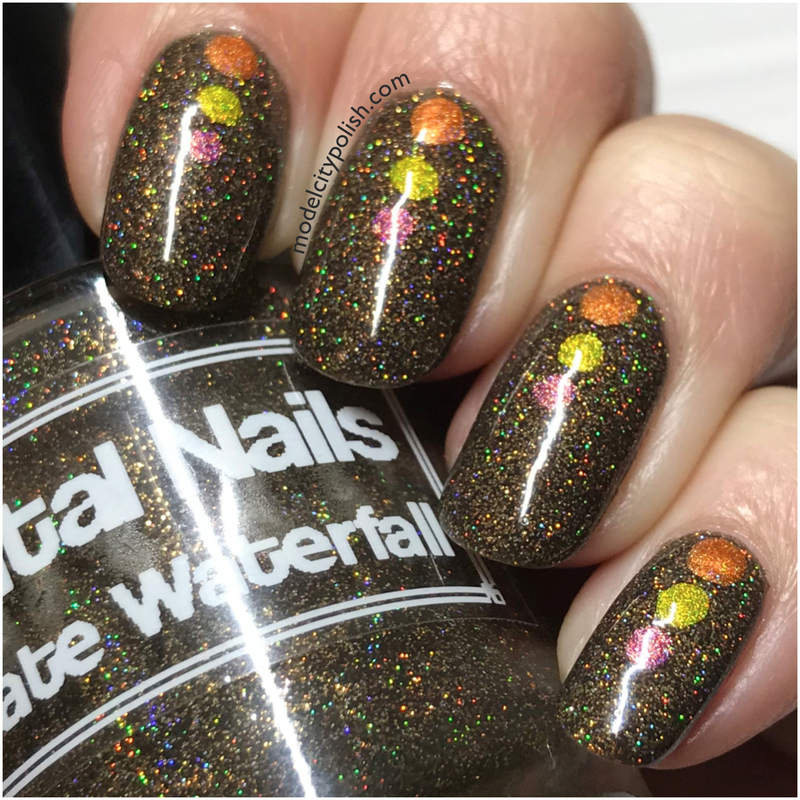 For my Fall Dotticure I started off with three thin coats of Chocolate Waterfall by Digital Nails. Oh how I love this color so much! Seeing how I love it so much, I didn’t want to take away from its beauty too much so a simple dot gradient seemed perfect. I used various sized dotting tools and Reverse Polarity, Phermone, and Flutter all from SuperChic Lacquer. The end result was the perfect Fall shade mash up! Everything was sealed with two coats of Marvel Liquid Macro Top Coat by SuperChic Lacquer. 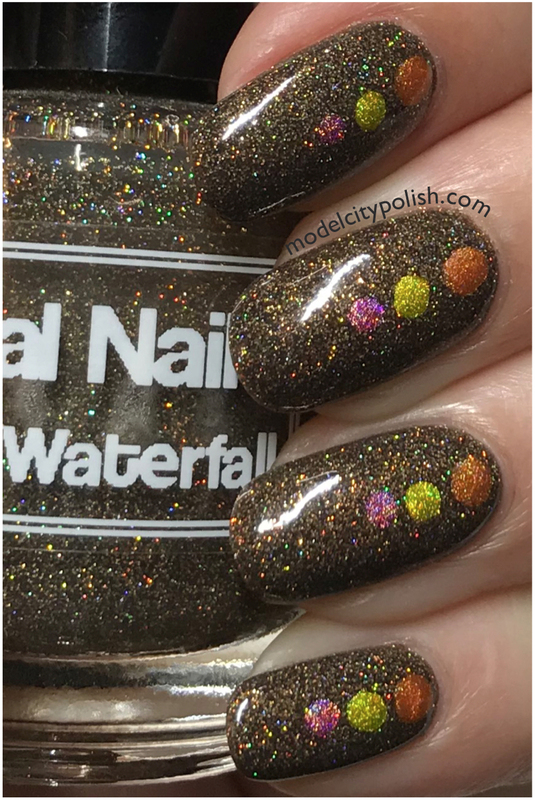 Chocolate Waterfall is such a pretty, unique shade! 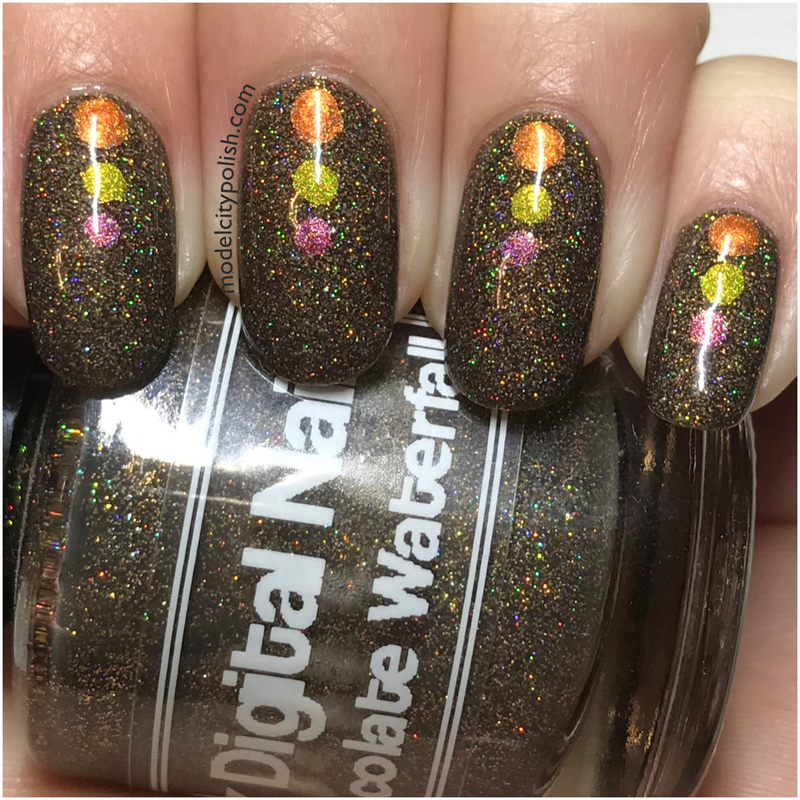 Chocolate Waterfall is a gorgeous shade and you picked ideal shades for your dots. That’s a great mani. I wouldn’t want to take this off. It is totally perfect for Thanksgiving! The pink is a fun pop of non autumn! Cute mani! I wore Chocolate Waterfall recently too, it’s such a good polish. That base color is everything! Bra dotticure. I love how you incorporated pink and how well it works with the rest of the colors!